I wasn’t sure whether this counted as a pickle or a coleslaw, so I named it for both! 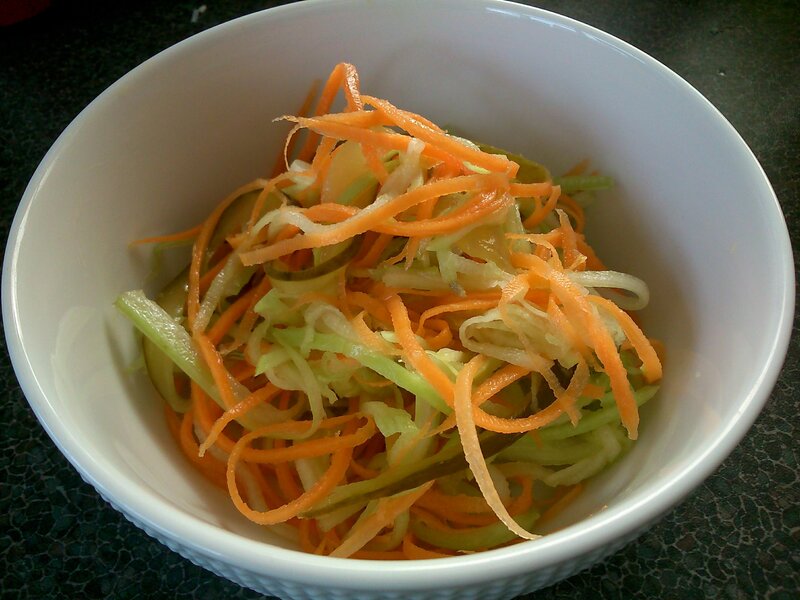 The vegetables are very finely shredded, and then marinated in a great dressing of lime juice, cider vinegar and fennel seed which combine to give a lovely fresh flavour. I used a julienne peeler for the chayote and carrot, but a normal grater would be fine too. If you can it’s nicest to keep the vegetable shreds to around the same length. Simply pop all the ingredients in a large bowl and mix well (it’s easiest to use your hands). Cover, and leave for 30 minutes in the fridge for the vegetables to soften a little and the flavours to come together.